Living is easy in this impressive, generously spacious residence with a beautiful country setting. Great hardwood floors and plenty of natural light flow throughout the home. The wonderful floor plan has two cozy bedrooms and one spacious master bedroom with plenty of room for study, sleep and storage. Also included is a vintage bathroom with tiled counter tops and a full bath off of the master suite with double sinks. Other special highlights include two fireplaces, two living areas, a spacious (well-manicured) front AND back yard, two car garage and ample parking for guests. Enjoy this private, beautiful home and easily experience all the great things Dadeville and the surrounding communities have to offer! This tract is 34 +/- acres located on a paved road just 10 minutes from Alexander City! There is power an water available to this property and would make a great home site and small hunting track. The property timber was cut about two years ago but there are still some hardwoods in creek bottoms and ridges and this tract consists of young timber regeneration with a small stream on the property. Great building lot inside Stillwaters Gated Community! Bring your house plans and enjoy all that this community has to offer!!! 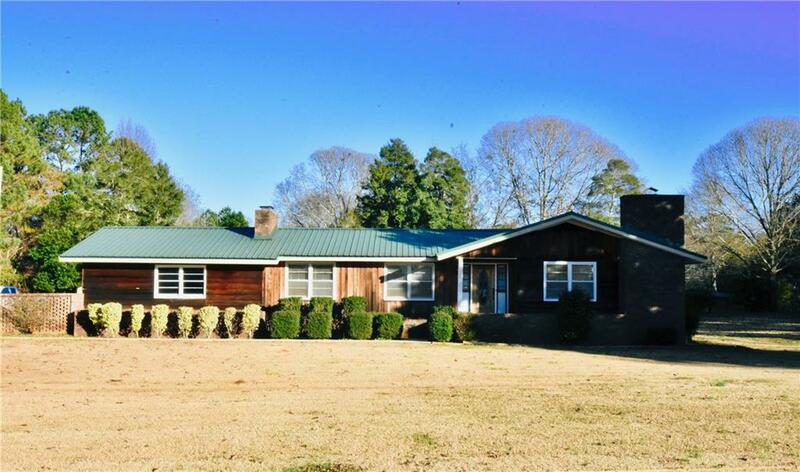 Check out this private, off the road, three bedroom, two bath brick home in Jacksons Gap sitting on 8.29 acres and just three minutes from DARE Park on beautiful Lake Martin!!!! This home is only 7 years old. A small spring/creek is located about 100 yards in the back yard. Home also comes with a FEMA approved 12 person storm shelter. There are two entrances to get to this home, one from Driftwood Drive and the other from Young's Ferry Road!